Are you looking for a truly remarkable Vancouver wedding venue? A place to host your family and friends in style? Or simply a beautiful place to elope? 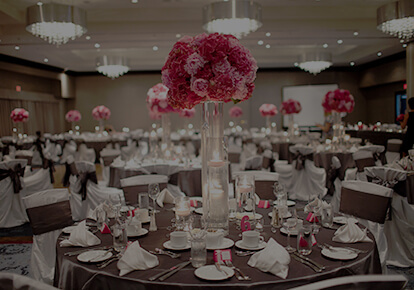 Pinnacle’s spacious hotels in downtown Vancouver and North Vancouver offer beautifully appointed event spaces with some of the most spectacular views in the city, along with personalized planning services, cuisine to suit your tastes and spacious accommodations. We invite you to spend your special day with us. Host your unforgettable wedding 19 stories above the city, overlooking picturesque Vancouver Harbour in Pinnacle Harbourfront’s Vistas 360 room, Vancouver’s only revolving event space. Or dance the night away in Harbourfront Ballroom with space for up to 720 guests. The onsite culinary team will prepare cuisine suited to your tastes, and an experienced wedding planner will be here to help every step of the way. 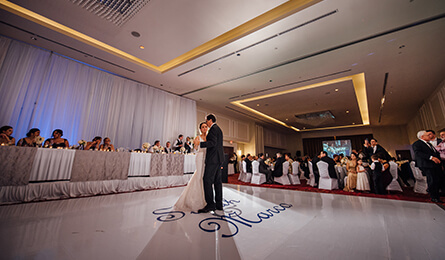 No matter how big or small your ceremony or wedding reception, Pinnacle Harbourfront is a truly special place to say “I do”. 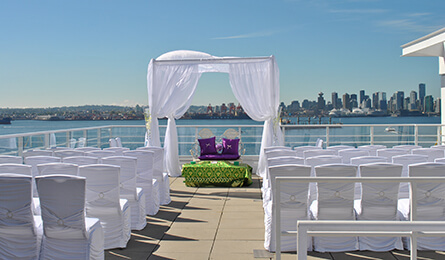 Whether it’s an intimate elopement or a grand celebration for 500, the Pinnacle Hotel at the Pier offers one of North Vancouver’s most beautiful settings for wedding ceremonies and receptions. With both indoor and outdoor spaces, including a rooftop terrace, ballroom and salon all featuring breathtaking ocean views, it’s a wedding photographer’s dream. With first-rate onsite catering and an experienced team of wedding planners by your side, there’s no better place to bring your North Vancouver wedding dreams to life.